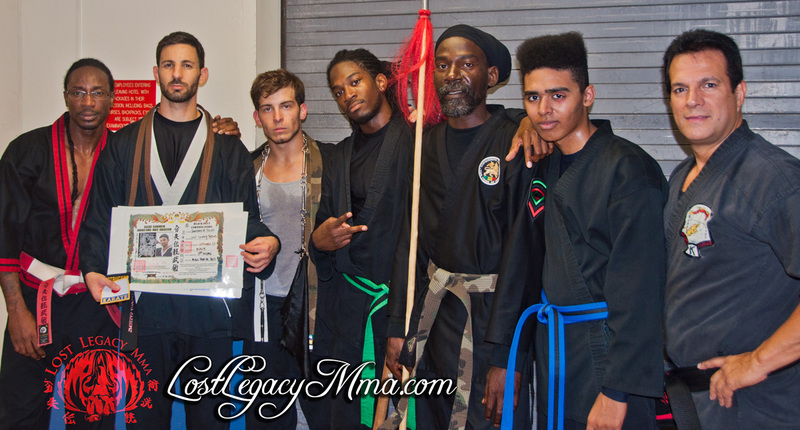 Lost Legacy Martial Arts Instructors Shidoshi Le Grand, Kyoshi Haughton and Sensei Fields were once again inducted into the Action Martial Arts Hall of Honors in Atlantic City, January of 2017. They mingled with Martial Arts pioneers and legends, attended seminars with famous Grandmasters such as Ip Man Wing Chun Samuel Kwok, Hanshi Gregory Duncan, Michael Depasquale Jr and action movie star Michael Jai White. Lost Legacy’s Chris Campbell won 2 Silver Medals competing in Sparring and Forms and Sensei Fields was Certified as a Krav Maga Weapons Instructor with Aplea Krav Maga. After returning for his 3rd visit to study in China in October of 2017, Sensei Fields will be opening his clinic for: Acupuncture, Herbs, Functional Nutrition, Tai Chi and QiGong.